As a young entrepreneur who has recently formed your first company, you may be learning about various business aspects on the fly. Fortunately, we’re here for you, providing you a breakdown of some of the aspects most critical to running a company. Today, we’ll take a look whether it’s necessary for LLC owners to provide health insurance to employees. Do You Have To Provide Health Insurance To Employees? A few years ago, Congress passed a new healthcare law that instituted an employer mandate. Many new business owners find themselves scared of the mandate, sometimes to the point that it prevents them from hiring employees because of the expected costs. However, even though there is an employer mandate, not every company falls subject to the requirements. If you are a small business owner who employs less than 50 full-time equivalent employees, your company is not required to provide health insurance. If you employ more than 50 workers, you must provide them with health insurance. If you do not, your company will be subject to stiff tax penalties. Business owners with less than 50 workers are still able to provide health insurance to employees, even though it is not required. If they choose to do so, owners could be eligible for tax credits. If you are a business owner who employs more than 50 individuals, the federal government mandates that you provide health insurance to employees. However, many of these business owners figure out that doing so is not in their best financial interest. Many employers willingly accept the tax hit and then choose to direct their employees to an alternative health insurance solution. For instance, employers may advise their workers to look into the Health Reimbursement Arrangement (HRA). In this scenario, employers could direct employees to a state health insurance exchange. Employers would then reimburse employees for part of their health insurance coverage by issuing an HRA. If the cost of the HRA plus the tax penalty is less than the cost of health insurance, employers may want to consider forgoing mandatory requirements. If you are a small business owner who still wishes to provide your health insurance to employees, even though you are not required to do so, you’ll likely want to look into the Small Business Health Options Program (SHOP). This program allows small business owners to provide health and dental insurance to their employees. It does not contain a vision insurance option. If you wish to enroll in the SHOP program, you’ll need to go through a SHOP-registered agent or broker. You could also work with a private insurance company. As we mentioned previously, small business owners who provide employees with health insurance, even though they are not required to, could be eligible for a tax credit. However, one of the significant requirements of the Small Business Health Care Tax Credit is that companies use a SHOP plan. Additionally, the company must use the tax credit to lower premium costs. But if you are looking to set your small business apart from others in your industry, this could be an effective way to demonstrate that you care for your employees. How Much Does It Cost To Provide Health Insurance To Employees? The cost of providing health insurance to employees depends on a wide variety of factors. Examples include the network of providers, the insurance carrier you choose, the type of plan you select, your location, and the demographics of employees. While the cost of providing insurance to employees varies significantly from company to company, we can still evaluate basic coverage concepts and national averages to provide you with a ballpark estimate. When providing insurance, the employer and the employee tend to split the cost. According to a recent Kaiser and HRET survey, the national average premium for a single coverage in an employer-sponsored health insurance program is approximately $520 per month, which equates to about $6,250 per year. The average premium for a family plan is about $1,460 per month, which comes to just more than $17,545 per year. Of this, employers pay slightly more than 80 percent of the premium to cover a single employee plan, costing the employer just under $5,200 per year. Employers pay slightly more than 70 percent of the premium to cover a family plan, costing the employer nearly $12,600 per year. In both single coverage and family plans, employees cover the remaining balance. Many employees choose to do so by opting for a payroll deduction. So, if you’re looking to evaluate the cost of providing health insurance to employees, try to figure out which would register as single members and which would register their family under the program. Also remember that the cost of premiums can fluctuate from year to year. To secure a quote that is more exact, you’ll want to contact various health insurance companies. Are There Any Other Requirements I Need To Consider? The federal government has also issued other requirements, in addition to the employer mandate. It’s critical that you remain aware of them, as some of these requirements impact employers regardless of whether they offer health insurance to their employees. For instance, one of the most significant requirements is that employers must provide information about the health insurance marketplace to their employees. This is the case whether they offer insurance or not. Another significant requirement is the 90-day maximum waiting period. This law states that if employers decide to offer insurance to their employees, they must do so within 90 days of an individual’s start date. When doing so, employers must also provide employees with a “Summary of Benefits and Coverage” form. This form not only details what the plan covers, but how much it costs. This should allow employees to better understand their coverage options. 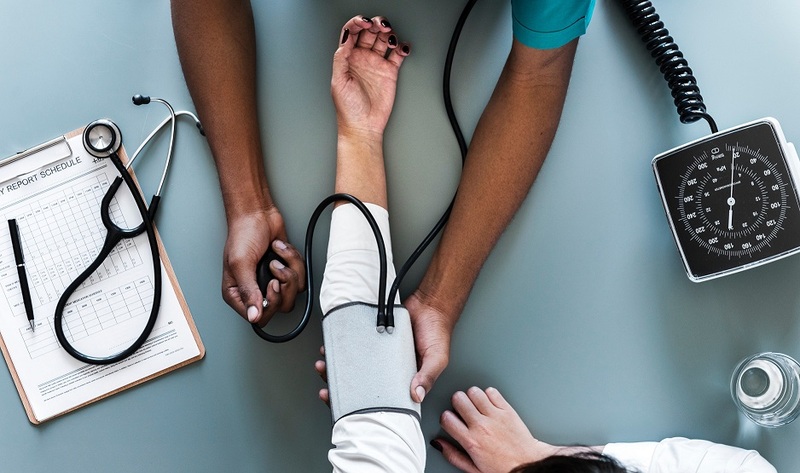 If you are considering providing your employees with health insurance, there is a wide array of factors you’ll want to consider. Speaking with an insurance agent or member of the IRS can allow you to determine the proper course of action to take.